Paulo Coelho is a Brazilian lyricist and novelist and the recipient of numerous international awards. He is best known for his widely translated novel The Alchemist. In total, Coelho has published 30 books. 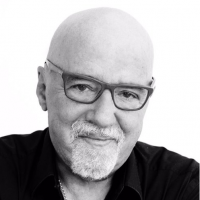 Three of them – The Pilgrimage, The Valkyries and Aleph – are autobiographical, while the majority of the rest are fictional, although rooted in his life experiences.He is the writer with the highest number of social media following.A keen user of electronic media, in 2014 he uploaded his papers online to create a virtual Paulo Coelho Foundation.